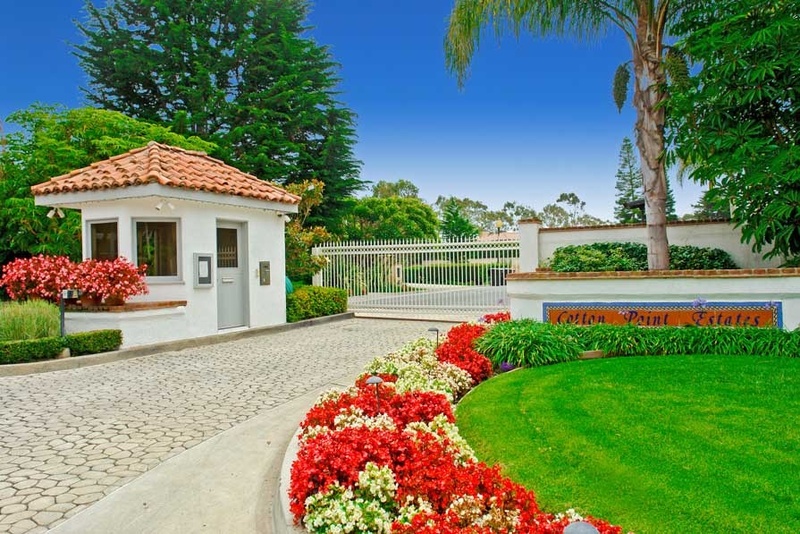 Cotton Point Estates In San Clemente is the Most Exclusive Real Estate in San Clemente and home to the Nixon White House. Nixon bought his San Clemente home, known as "La Casa Pacifica" in 1969 which brought nationwide attention to San Clemente. In 1980, Nixon sold his San Clemente estate to Gavin Herbert in 1980, who was the founder of Allergan. Cotton Point Estates area was then divided up into 16 lots that were sold off except for the Nixon Estate which is still privately owned by Herbert. Cotton Point Estates is now home to 16 luxury estate homes on the southern most point in San Clemente. Below is the current list of Cotton Point Estates homes for sale. Please contact us at 888-990-7111 with questions regarding this community and any of the properties listed for sale here. The Nixon Estate has officially come on the market for sale in 2015 for $75,000,000 and then was lowered to $63,500,000 in 2017. Often referred to as "Cottons Point," this Ocean Front bluff top overlooks the famous Trestles Surf Break and located within the gated community of Cyprus Shores. Cotton Point Estates is a guard gated community within the guard gate of Cyprus Shore with the following amenities: Community Pool, Spa, Tennis Courts, Tropical Park Setting & Private Beach access which overlooks Trestles, California's premier surf break. Homeowners Association dues are low and there are no Mello-Roos assessments. This is easily considered the most expensive neighborhood in San Clemente with some of the best trophy properties located on the ocean front. There are only 3 properties located on the ocean front with the Nixon Estate being one of them. 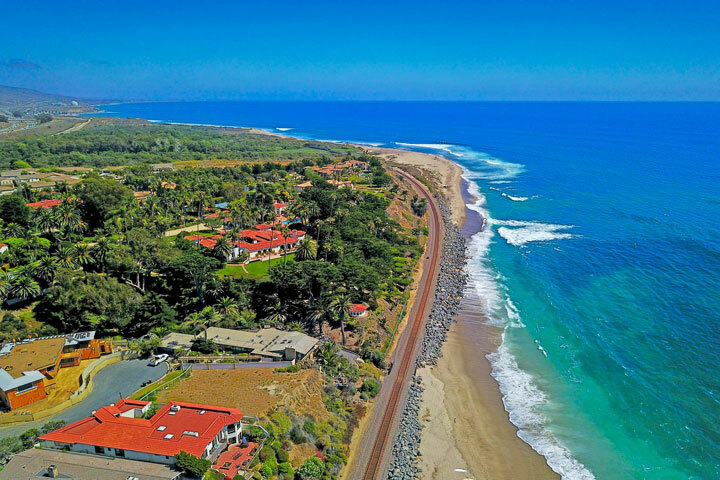 The other two homes feature huge estates located at 4120 Calle Isabella that features an 87,120 square foot ocean front lot and the prize lot at the very end at 4130 Calle Isabella features an approximate 2.6 acres of ocean frontage. If you are looking for a luxury community in San Clemente and you don't need to be on the ocean front then you may also want to view the homes for sale in Sea Pointe Estates and La Ladera neighborhoods. Below is an aerial view of the Cotton Point neighborhood with the Nixon Estate in the middle of the photo that spans over 5 acres of land.